Your Dealership should have one goal when it comes to your website; to convert more shoppers into buyers! With an innovative, responsive (mobile friendly) website from Carbase, you get a lot of tools to sell more cars and convert more lookers into buyers! Auto dealerships have trusted Carbase for 15 years to sell more cars - just take a look at all you get! Call us today and a real person will answer to talk with you about how we can maximize your lead generation. We have several lead generators available. But we can also help you develop your own. Want a coupon generator? No problem. How about the ability to send an email with the coupon printed? No problem. It's actually quite easy for us. It will be easy for you, too, with our simple drag-and-drop technology. 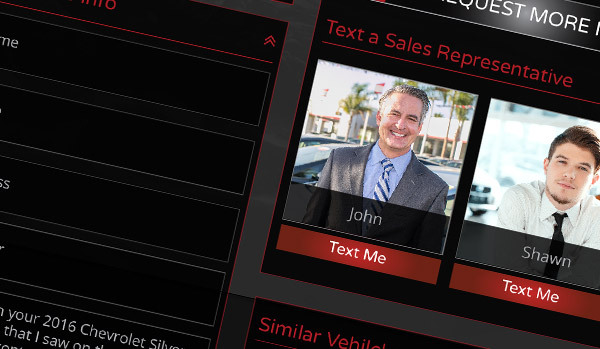 The Carbase Control Panel allows you to manage leads and respond to specific questions. We’ll also send the leads to your CRM. Which CRM? It doesn’t matter. Need something different? Cool, we’ll build it. We can also send you text and/or email notifications. We can support any CRM. When someone converts on your Carbase website, the lead is instantly sent to your CRM for follow-up. If you change your CRM, just call our support team. We provide several tools that allow people to do more and find more of what they are seeking. So we've included simple, easy payment calculators, mapping tools, cool slideshows, nice search filters, and much more. Our drag-and-drop platform makes it easy to add or remove anything on the site in minutes. We also provide training for your staff. And you can always call our support staff for questions and changes. We can randomly pick sales reps, or you can pick them, but you will be able to start mobile SMS (text) conversations with your customers, which they expect now more than ever. Automobile advertising that contains an option to text will see an increase in response in the range of 50 – 100%. If you are not including the option to text, let our training and support teams show you how. 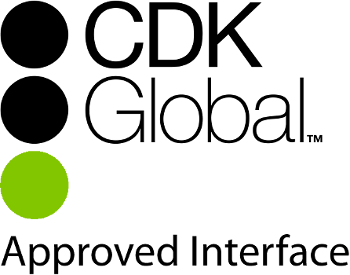 We employ many unique 'calls to action' that get you high quality leads. You can absolutely create your own! With our easy to use drag-and-drop technology, you can do this in minutes. We work with your favorite chat providers including professional, self-managed 24/7 chat. If you need something changed, our support team can do this for you quickly. Our credit apps are customizable, and printable. This is very sensitive information and Carbase will securely send the data wherever you like, or you may use the Carbase Control Panel to manage them. Carbase also offers CarFinder; a simple tool that allows users to submit what they are looking for, or even the car of their dreams, and provides their information to you as a sales lead. This tool is available on all search pages. Users can submit their vehicle to you along with pictures early in the process so you can assess and value it. This is a great lead generator. You can change the name of this to "Sell Your Car" or "We Buy Cars" and marketed accordingly. Our slideshow is the best, and it is commonly used on popular websites. Swipe, click, touch, point, and customers love it. This feature alone will make you want your new Carbase website as soon as possible! You can upload walk-around videos to YouTube, or we can create slideshow videos with marketing messages automatically for your entire inventory with pictures. This couldn’t be more simple, but if you need help, call our support team. People want to know if the car has Bluetooth, heated seats, and a few other features that help them make decisions. We've done research to find the most searched for features, and give them priority on your inventory pages. This automatic tool helps customers make decisions on YOUR lot. For example, if you only have one Ford F-150, this feature will show other pickups or 4x4's depending on the features of the vehicle. Again, you can make changes anytime with our easy to use drag-and-drop technology. Our support team is there to help, too. Your call will be answered by a real person that will make your changes. It is important to give just enough info for customers to contact to you. That is why we offer extended features on VDP's for you to choose from. Your website should be as unique as your dealership. Our unique to the industry drag-and-drop technology makes it easy for you make changes to your site in minutes.